Things to do: This quaint southern mountain town is an absolute delight to visit. Perfect for a day trip, Mt. Lemmon offers snowshoeing, rock climbing, hiking, camping and fishing. Book a cabin for a romantic staycation and meander through the general store, gift shop, and other historic nooks and crannies of Summerhaven—many of which were rebuilt after the Aspen fire of 2003. Don’t forget to sample the fudge—it’s famous! The town has a fascinating story to tell and with it being only about an hour outside of Tucson, you’ll wonder why you didn’t hear it sooner. Things to do: This 184 mile long river dips into Mexico and back up into the state, passing the Spanish missions of Tumacacori and San Xavier del Bac. Though there aren’t many activities to do on the river itself (as it can become quite dry outside of monsoon season), it follows a scenic route not to be missed if you’re traveling the region. Things to do: Go stargazing with your spouse or teach your kids how to fish. The lake is known for fish such as trout, bass, catfish, and sunfish, so there’s plenty of opportunity for that big catch of the weekend. If you prefer to explore the water via paddle, rent a row boat or kayak for the day. Reserve a camping spot at one of the 65 sites complete with picnic tables and grills. Things to do: Escape the summer heat and enjoy 70-80 degree temperatures while hiking, dining, or simply relaxing at the resort. Take the scenic chairlift for panoramic views of the San Francisco Peaks at 11,500 feet elevation. In the winter, the lift becomes your method of transportation to the ski and snowboard runs—from the bunny slope to Sunset Terrain Park to the black diamond trails of Agassiz lift. 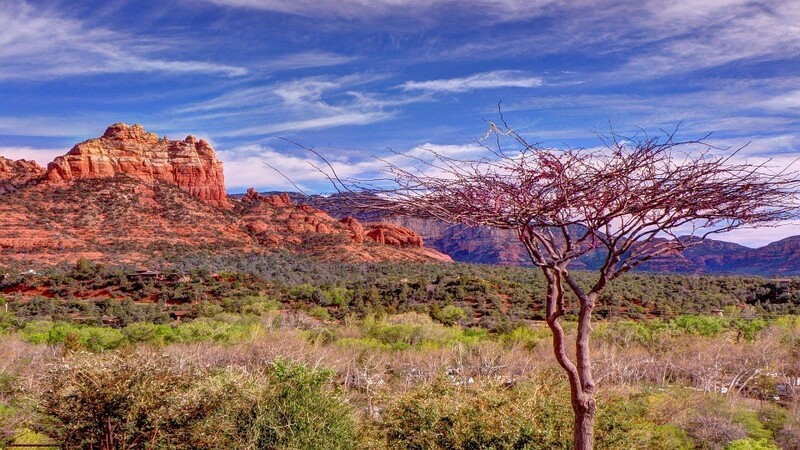 Though it may require a 2-4 hour road trip, it may be worth your while to venture away from the comfort of your city and explore more of what Arizona has to offer. If you’re visiting, consider heading north or south of Phoenix for magnificent views of Mother Nature and her lesser known attractions. You might not avoid tourists, but the experience—not to mention change in the weather—will be worth the journey. Contact us today if you’re interested in luxury Dove Mountain real estate.